See for yourself just how much we care for our patients and their human companions. Learn about our animal hospital's comprehensive veterinary medical, dental and boarding services. 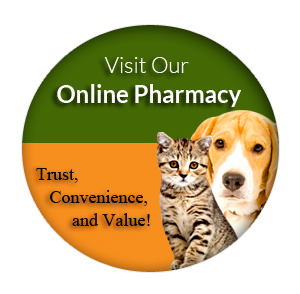 Discover what we can do for the best possible health of your animal companion. Keep us in mind when you need a cat or dog dentist for your pet. Our staff is always ready to help with you scheduling, insurance or anything else you may need during your time with us. We will take extra care to listen to your concerns, answer all your questions and thoroughly explain your condition and treatment options. To schedule an appointment, please call 928-768-8387 or you can use our respective online Portal and Online Scheduling form. If you have made your initial appointment, you can preregister by clicking on the link below to download our New Patient Form. Please print and complete the form prior to your arrival. This will help to speed up the new patient registration process. If required, we can submit your claim (on your behalf) to your insurance company for your reimbursement. Petly wellness plans provide a special discount available only to wellness plan members. When you need highly attentive, gentle pet care, North Valley Pet Hospital is your friend and ally. For information or an appointment, call us at 928-768-8387. You can also use our online Portal and Online Scheduling form to arrange your appointment. Visit us if you are a resident of the surrounding areas of Laughlin, Mohave Valley, Bullhead City, Fort Mohave, or Needles.